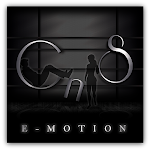 CnS e-motion is participating in this year's Autumn Effect hunt by Depraved Nation (Sept 15 - Oct 15). A grid wide hunt with gifts from many talented SL creators. All you have to do to grab the couple pose above is visit the Depraved Nation blog for the hint list and start the hunting! Have fun and a happy weekend!